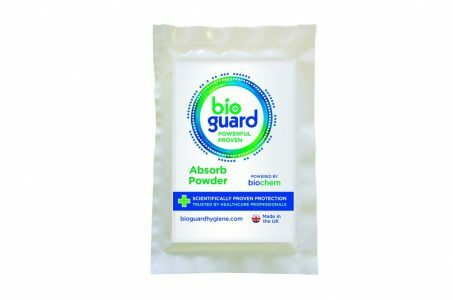 Super absorbent powder that is anti bacterial and is designed to absorb body fluids and general spillages. 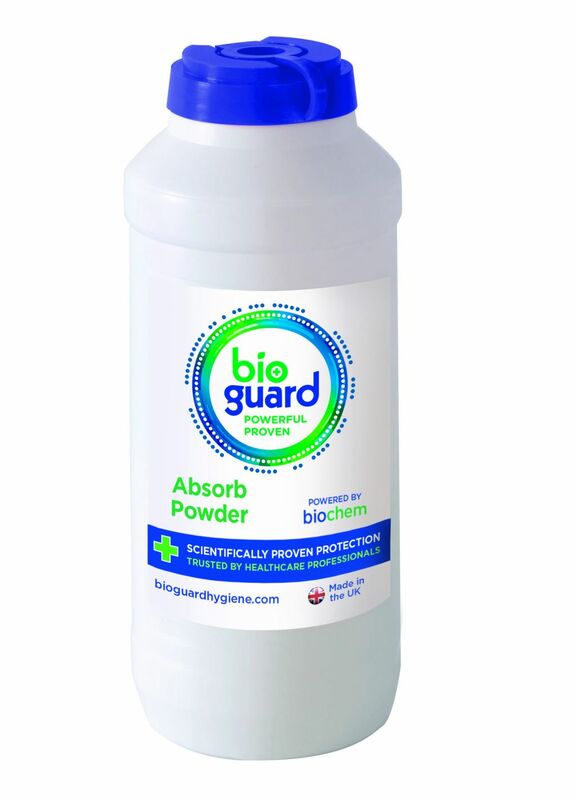 Industry-leading research and development, combined with extensive testing ensures that our ABSORB POWDER can be used across a whole spectrum of body fluid and chemical spillages. This product is designed to be used in any environment where you need to quickly and safely clean up body fluid and chemical spillages. FAST ACTING — A fast activating powder that quickly absorbs all types of body fluid and chemical spillages. ECONOMICAL IN USE — Economical in use, requires less powder to clean up than some alternative brands. SUPER ABSORBENT — Product can absorb up to 200 times it’s own weight in liquid. SAFE TO USE — Powerfully effective, contains a bactericide to assist in inactivating harmful organisms. EASE OF USE — Product is easy to use, sprinkle powder on spill leave to absorb then scoop up. Use as and when body fluid or chemical spillages occur. Sprinkle powder onto spill leave for up to 2mins then use scoop to pick up. Always wear the appropriate personal protective equipment when cleaning up hazardous spillages.